Sundance Saloon's New Year's Eve country-western dance for the LGBT community and its friends. We have a new South-of-Market location in a trendy facility called SOMArts. We'll bring you a fantastic night of two-stepping and line dancing as we count down to a midnight balloon drop. 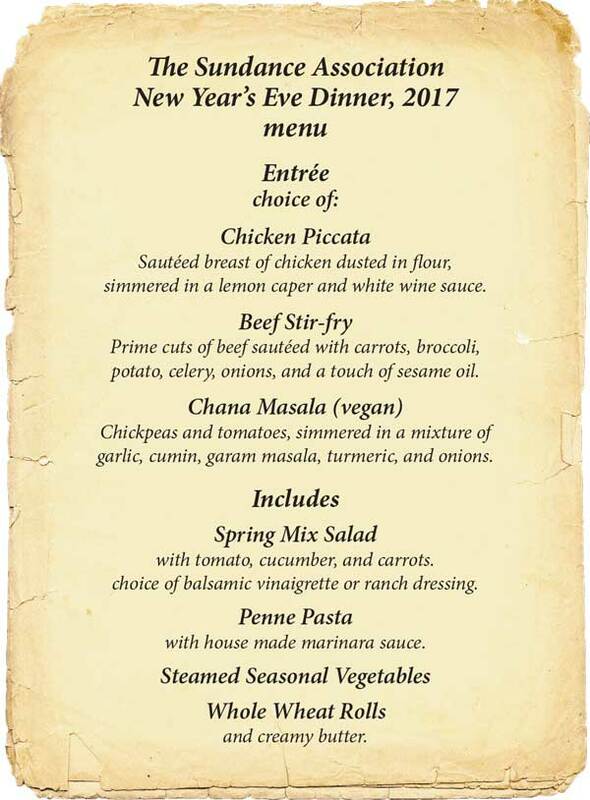 Begin with an optional buffet dinner from 7:30 to 9:00 pm, with choice of entrée (chicken piccata, beef stir-fry, or chana masala), with salad, steamed vegetables, penne pasta, and bread. View full menu here. We'll have beginning two-step lessons at 8:00, and a basic line dance lesson at 8:30. Then it's open dancing with a mix of two-step, waltz, swing and line dancing right into the new year. $50 host sponsor ticket supports the Sundance Association. Includes admission, complimentary coat-check and beverage. Dinner is $30 additional. Subject to availability after December 26. ***LIMITED DINNERS REMAIN. Purchase dinner now and pay your event admission ($30) at the door. *** Or purchase a host ticket which includes event admission. Venue support generously provided by SOMArts Cultural Center, which is supported by the San Francisco Arts Commission and The San Francisco Foundation, and is sponsored in part by San Francisco Grants for the Arts.